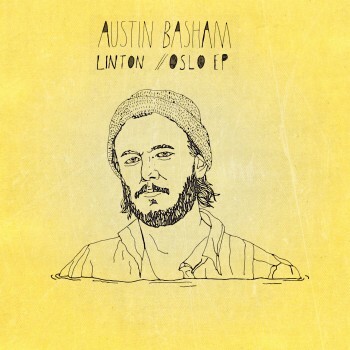 Austin Basham is a Texas born indie-folk singer with more talent in his pinky finger than most of us can imagine. If you’ve never heard of him before don’t worry because prior to his EP Linton // Oslo released on May 4th, 2015, he’s only had three singles on iTunes and sadly has no YouTube page, that being said keep an out out for him in the future. Maybe you can even claim to be one of his first fans! The mellow, melodic nature found in all of his music including the 5 songs found in this EP, has the ability to snap you out of whatever you’re concentrating on and bring you into his world. The combination between his guitar playing and his soothing voice, his music connects you to memories, and gives you a sense reconnecting with an old familiar friend. He says that his influences come from Bob Dylan and Johnny Flynn and it is in no way surprising. When listening to all his tracks, both from the EP and his singles, you can hear hints of their music within Basham’s voice and his guitar. My favourite track between on the EP is by far Running, which was also previously released on iTunes as a single. Although there is a solid line between what is considered folk and what is considered indie in todays music world, Basham has found a perfect balance between the two.